I've written here several posts about our 2012 summer adventures in Kuala Lumpur (Malaysia) and Singapore. It was such an awesome trip, a thrilling adventure; we rode (trains, buses, cabs), we walked, we climbed, we visited places; some are interesting, some are not. With this trip too, I smiled, I cried, I freaked out! 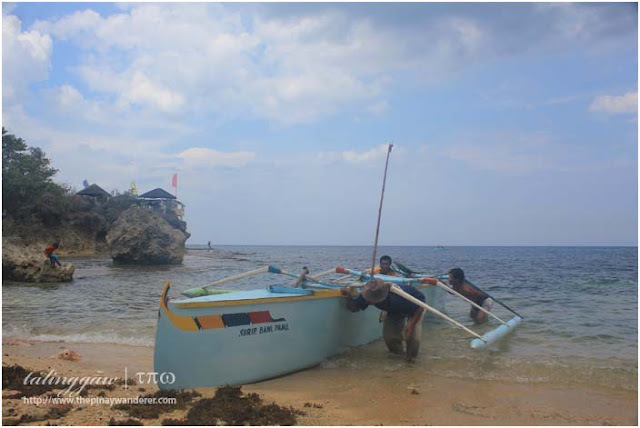 But all these made this escapade a very memorable one; indeed, an unforgettable experience! A trip to KL would never be complete without visiting their skyscrapers, the KL Tower and the Petronas Twin Towers. These towers, specifically the Petronas Twin Towers symbolize Malaysia's progress and development. And it draws tourists from all around the world, this twin towers being one of the world's tallest structures. There are other interesting landmarks here worth checking out too and these include among others, the Istana Negara, Masjid Negara and Tugu Negara. If you're a food lover, street dining in Jalan Alor in the Bukit Bintang area is a must-try experience. Jalan Alor offers a dining experience of different cuisines from Malay, Thai and Chinese, a one-stop-dining experience actually. If you're into temples and willing to climb 272 steps to get into it, you may want to visit the Batu Caves Temple, a Hindu temple at the far north of the city famous for its 140-feet Lord Muruga statue, the tallest statue of Hindu deity in Malaysia. However, if you're one of those travelers who like to shop till you drop, you may want to visit the Chinatown in Jalan Petaling, a street market where you can haggle and shop for less. These are some of the interesting places we've visited in KL; if you want to read more about our adventures in these places, you may click the link to read more about them. Singapore is the smallest country in Asia but despite its size, it is the third richest country in the world, next to Qatar and Luxembourg. And being one of the richest countries in the world, living here is expensive, much more touring it. 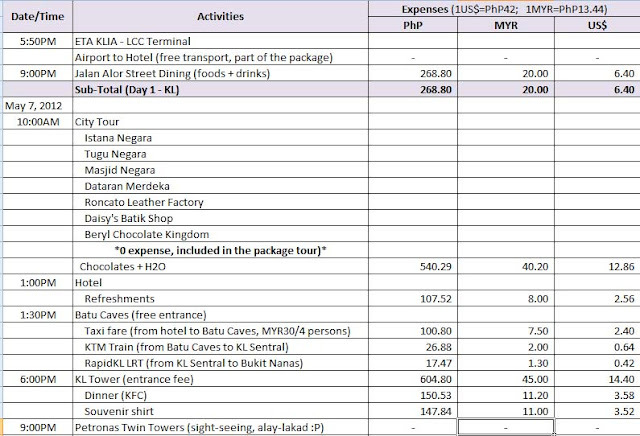 If in Malaysia, I spent less than four thousand pesos roaming around and visiting KL's famous attractions, here in Singapore I spent more than twice of what I spent in KL. 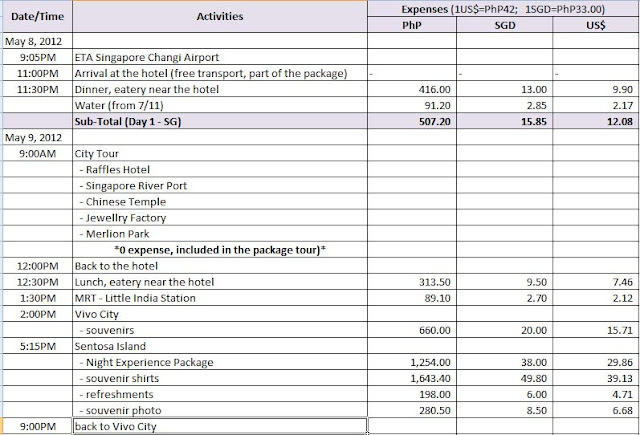 These itineraries do not reflect our overall expenses for our KL and SG escapades but I hope this post somehow gives you an idea of how much a tour to these two countries would cost. 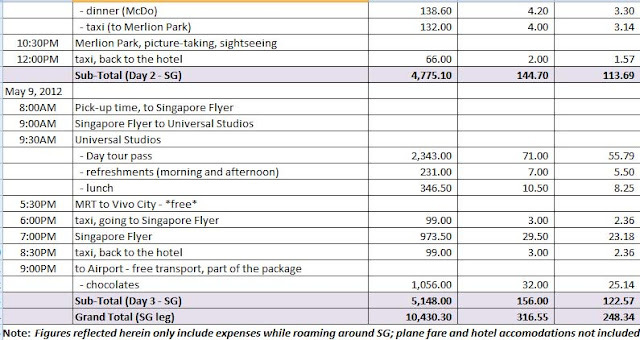 I didn't include the cost of our package tour as I know it's a little bit expensive if compared to a DIY airline and hotel bookings, especially nowadays that a lot of seat sales are offered by airline companies. Note: Currency conversions are just estimates, only the expenses in MYR and SGD are actual. I want to visit Singapore one day. Sa airport palang ko nakapunta. Thanks for the tips. Thanks for the tips girl.I'm planning to send my parents on vacation but no proper planning yet.At least I have an idea kung magkano ang budget ko sa kanila. Hala, malaki laki pala dapat pag-ipunan ko para makagala sa Singapore at Malaysia.. Pero thanks for the info, at least may idea na ako.. Thank you for providing detailed information! mas mahal tlga ang singapore..but I really want to visit singapore next year and hauled H&M! hahahaha! Yung cost ng package tour ang gusto ko sana malaman. San kayo kumuha? Gusto ng sister ko i lego land si Ykaie. Balak namin mag out of the country trip next year. Gusto ko sana cambodia e. Yung hubby namn ni sis gusto vietnam. Yung cousin ko naman thailand! Hala iba iba kami ng gusto puntahan e kung lahat yan pupuntahan namin inang ko po ang laking gastos. Bahala na kung saan padparin. Nag aabang din ako ng cheap deals. hi DIY lang kami going to KL and SG... kayanin kaya namin? Hi! Keri nyo yan, maraming budget hotels sa kl, SG lang talaga medyo mahal pero kung matipid ka, I think 20k-25k per person, accommodation & allowance would suffice for kl-SG, 5days/4nights. Hi, great detailed itinerary. Very useful. Btw, may I request for an excel copy of this itinerary? I am planning to use your itinerary as my guide. Thanks. Here's my google acct: aiza.llapitan@gmail.com. Can you suggest where to ride a bus from SG to KL? Also, do you know the price? Hi. Thanks for your generosity sa ideas hehe. 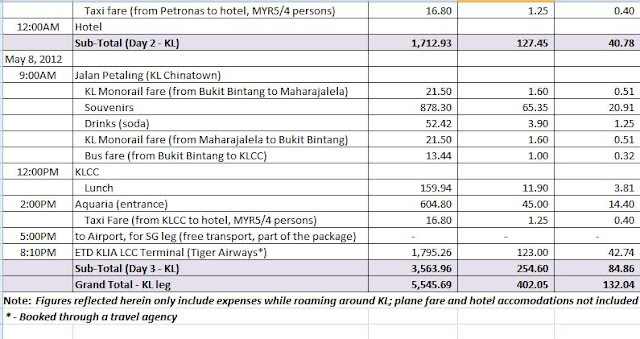 Ask ko lang how much ang bus or train from singapore to malaysia? 2) for our trip, we used mla-kl, kl-sg, sg-mla route and we were never questioned at the immigration. I think as long as you already have a hotel booking, a round-trip ticket and a proof (normally employment here in PH) that you're coming back, you'll have no problem at the immigration. Just make sure to have with you the necessary/supporting docs.